The Big G's Pizza website has been translated for your convenience using translation software powered by Google Translate. Reasonable efforts have been made to provide an accurate translation, however, no automated translation is perfect nor is it intended to replace human translators. 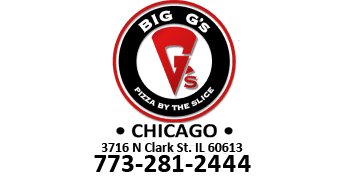 Translations are provided as a service to users of the Big G's Pizza website, and are provided "as is." No warranty of any kind, either expressed or implied, is made as to the accuracy, reliability, or correctness of any translations made from into any other language. Some content (such as images, videos, Flash, etc.) may not be accurately translated due to the limitations of the translation software.